Many people think things like half passes and side passes are only important in the show ring. But, side passes are useful even if your horse is just a pleasure horse. When doing a side pass your horse moves directly sideways in response to your rein and leg aids. Teaching your horse to do a side pass, also called a full pass, will make him more obedient, safer and more fun. Obedience to leg aids makes it easier to stop spooking. If you are jumping, obedience to your leg can prevent your horse from running out and avoiding fences. You’ll be able to open and close gates without dismounting or guide your horse away from a cranky trail mate. Before you teach your horse to side pass, it's may be helpful to teach the turn on the forehand first. This lays the foundation for the slightly more difficult side pass. Your goal is to cue your horse to step sideways, with its head slightly inclined to the direction it is moving. The front of the horse (forehand) should lead the movement. This means you will not be traveling perfectly perpendicular to a straight line, but at a very slight angle with the hindquarters slightly trailing the forequarters. Start teaching the full pass as you did the turn on the forehand, by facing a fence or wall. This helps the horse and you remember that forward movement isn't part of the movement. If you want to do a full-pass to the right begin the cue by pulling the right rein slightly sideways, opening up the space between the horse’s neck and rein slightly. Although you will begin with the rein aid, your left leg cues the horse behind the girth or cinch as soon as the horse starts to incline its head in the direction of the full-pass. Your right leg should maintain good riding position so you are ready to control the horse should it rush sideways faster than you like. Eventually, with practice, the rein and leg aid may look like it is simultaneous, but your rein aid should always come first. Ask for one or two steps at first. At first, the sideways steps may seem ragged and unbalanced. Reward good attempts. Work slowly in short sessions. When the horse is able to understand the cues and can take a few steps sideways, start schooling the full-pass away from the wall. Only ask for a few steps at a time. It isn’t necessary at this stage in training to ask a horse to go right across the ring or arena sideways. To teach the horse to full-pass to the opposite direction reverse the aids. It may be easier to teach one side at a time, although many people will disagree and teach both directions simultaneously. 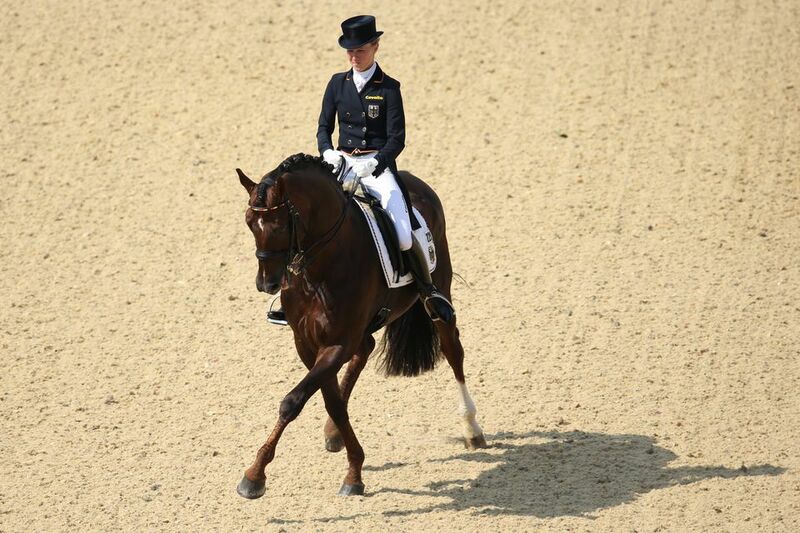 You probably will not need to school your horse in this movement to the degree a high-level dressage would perform it. But you will want the full-pass to be as accurate as possible, with the horse’s front and back hooves making two clear tracks as it goes sideways. For the purpose of most riders, learning the full-pass at the trot isn’t necessary and requires a horse to be very balanced and collected. Practice your side-pass every so often, whether you are riding in the arena or on the trail. This way you can be assured your horse will respond to the cue in every situation. At this point, you can start schooling for a half-pass. Be happy with small successes. Just like people, horses learn at different rates and somethings are physically more difficult than others depending on how the horse is built and how good your riding skills are. Even after the horse has learned its lesson, review every so often. But don`t practice so often the horse becomes sick of its lessons. Help your horse balance by shifting your weight to your inside seat bone.